Regina Public Schools is one of the largest school divisions in Saskatchewan. It serves the people of Regina with 44 elementary schools, 8 high schools, three associate schools and a variety of other education-related services, including Campus Regina Public and Allan Blakeney Adult Campus. There are more than 23,000 students enrolled in Regina Public Schools. The School Division has a mission to instil the value of knowledge, the dignity of effort and the worth of the individual. This mission is fulfilled every day with the help of parents/guardians, students, staff and the Regina community. Regina Public Schools' Shared Values underpin everything. These values are shared in the schools and the rewards show themselves through quality educational experiences that students take with them into their unique futures. All Regina Public Schools employees live these values as they are taught to students. These values are displayed proudly in the logo. They are: I am responsible; I want to know; I belong and I respect. The School Division offers a variety of employment opportunities. 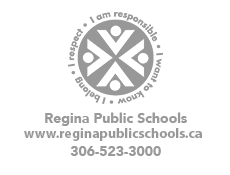 If you are interested in employment at Regina Public Schools, please forward your résumé to the Human Resources department by email, by mail at Human Resources and Workplace Diversity, 1600 4th Avenue, Regina, SK, S4R 8C8, or by fax at 306-523-3169. If you are looking for a job, you have come to the right place. At Regina Public Schools, you can find many job opportunities that will result in great careers. Please feel free to browse the available career opportunities below.